The concept of antismoking packaging of cigarettes is one of the most effective means of fighting against smoking both in Armenia and around the world, Alexander Bazarchyan, the head of the National Institute of Health of Armenia, told media Tuesday, which is World No Tobacco Day. “This year, a policy adopted by the World Health Organization suggests excluding the presence of elements of advertising and brand label in the tobacco packaging. The Ministry of Health’s warning on tobacco packs can already be a very effective anti-advertisement,” he said. Bazarchyan added that in many countries tobacco even does not appear on counters of stores, a practice which can be applied in Armenia, too. 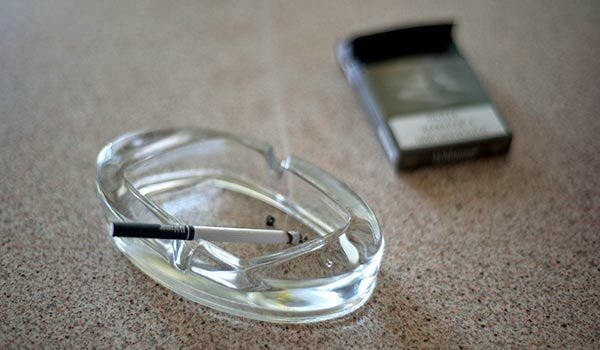 “Legislation needs changes in terms of this: there are many gaps especially in spheres of notification, banning on advertising, restricting smoking in public places, and tax policy,” he said, adding that, however, research results found that people are subjected to secondary smoke exposure more in homes than in public places. Specialists report that there have been no dramatic changes in statistics on the ratio of smoking women and men. “A total of 56 percent of males above sixteen smoke. Unlike previous years, a positive trend has been observed in quitting smoking among 40-50 year old men, which is probably due to the occurrence of health problems in this age group,” he said. Referring to the index of smoking women, Bazarchyan stated that their number is not so big: a total of 7-8 percent in the capital, and three percent in provinces. The situation with adolescents is relatively better than in neighboring countries.